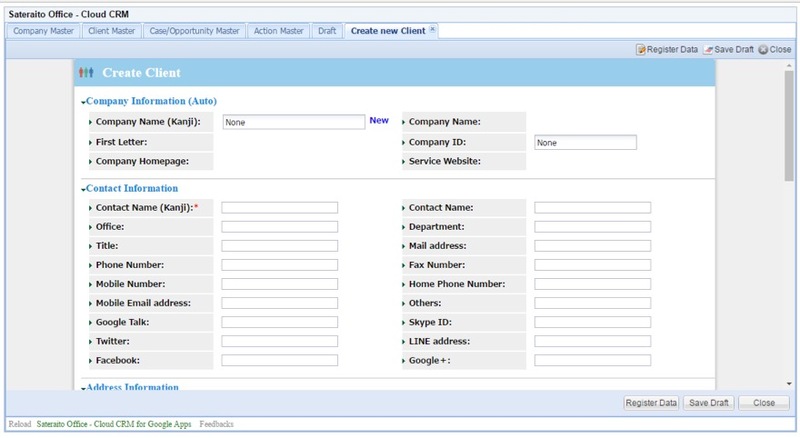 "Sateraito Office Cloud CRM for Google Apps" works seamlessly with Google Apps environment, cloud based CRM function. 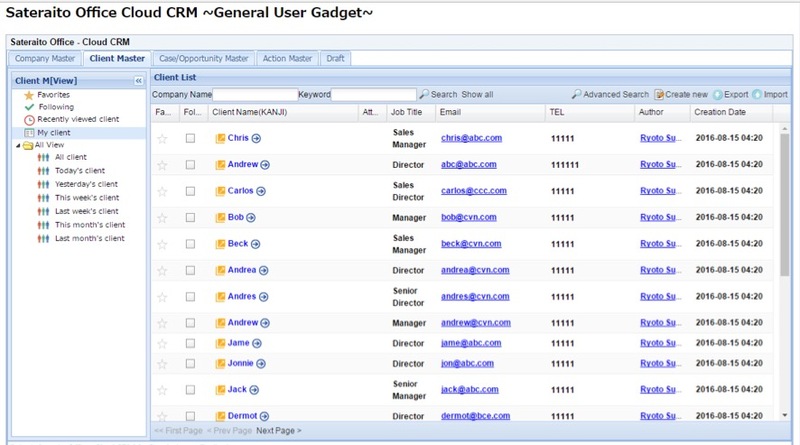 (1)CRM and SFA solution runs in Google App Engine. 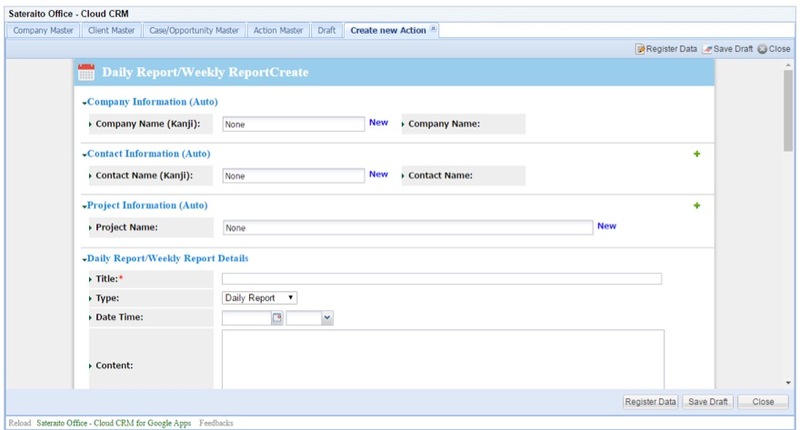 (3)Similar to popular existing CRM and SFA system. 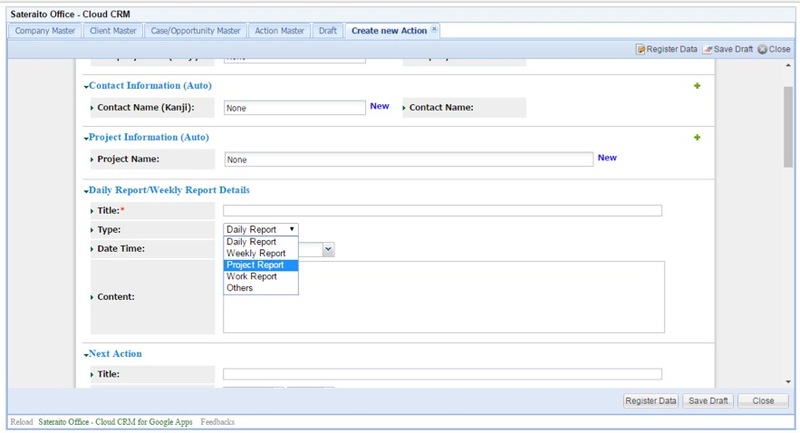 However, by simplifying database structure, it's very straight forward to use and does not take time to master. 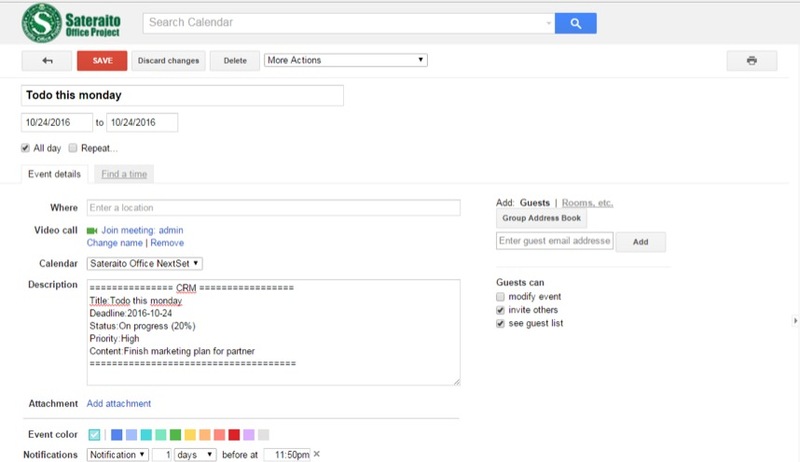 →Integrate closely with Google Calendar. ・Full Text Search/ Advanced Search. ・Notification email upon data update.